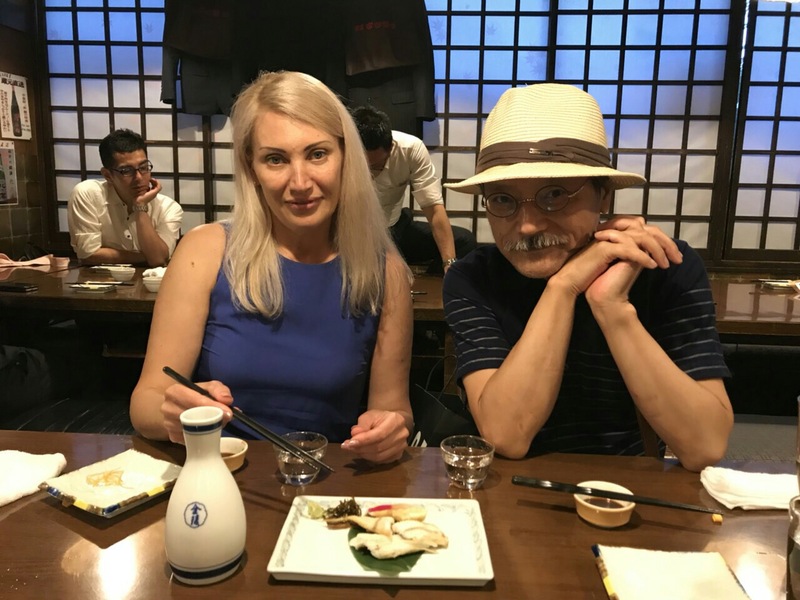 Japanese + Ukrainian real love story! When you are in love you could fly thousands miles away (even to Japan) just to meet your beloved! This romantic story was started since the snowy and cold January. Two grown up and mature lonely people finally found the peace in their hearts. Elena was the brave woman to send Hitoshi her first letter where she admitted how much she liked his profile and photos. He answered her in a week. He wrote it was something unexpected to him because Elena was familiar with the Japanese culture and knew Japanese. They were leading their romantic and excited correspondence during 3 months and after Hitoshi asked for contacts of Elena they started their personal communication and planning their future meeting. Their relations looked like a dream - both wanted to feel something super new and super exciting in life. Finally it happened, Elena wanted to change her routine and she went to Japan, Hitoshi invited her as his guest to Tokyo. They had several meetings already and we all hope they will continue their relations. It proves once again the real love doesn`t know any boundaries. When you are in love you could fly thousands miles away just to see your beloved! Happy time for them! Thanks Mariya-club site for such a great opportunity to develop international marriages all over the world!